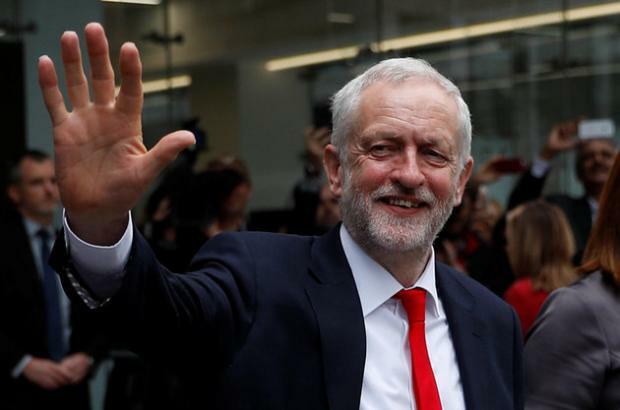 The demonstration was ostensibly against the anti-Semitism of the Labour Party, but in reality it was an attempt to vilify Corbyn with charges of anti-Semitism. A counter demonstration of Corbyn-supporting Jewish Labour Party members was organised by Jewish Voices for Labour and the Jewish Socialist Group. Its participants were goaded by people attending the Board of Deputies demonstration and called “kapos” (Jews who collaborated with the Nazis), according to some reports. Board of Deputies president Jonathan Arkush was given a lengthy interview on BBC TV news, where he talked at length about “Labour’s anti-Semitism problem” and issued instructions to Corbyn about what he had to do as a precondition of being granted a meeting with the board. Those included the expulsion of long-standing Corbyn ally and former mayor of London Ken Livingstone and former Momentum vice-chair Jackie Walker; accepting a definition of anti-Semitism which effectively outlaws criticism of the Israeli government’s conduct; and giving the board a role in Labour’s disciplinary process. The Board of Deputies is hardly a neutral party. It never has a bad word to say about the UK’s governing Conservative Party. And Arkush was among the first to congratulate Donald Trump on his election. The problem that the Tories have today is that their policies of austerity and privatisation are very unpopular, and Corbyn’s policies – including the renationalisation of profiteering utilities, the abolition of tuition fees and a rise in the minimum wage – have massive support, even among Tory voters. – Amnon Baron Cohen was born in Israel, where he was active in socialist organisations. He moved to London in 2005 and is now a member of the Labour Party there. Cannot imagine why Corbyn is so forgiving of the evil men ranged against him. I really hope he takes the opportunity of the next election to remove the last vestiges of the commercial Blairite MPs from the party and recover its pristine purity as the party of the people, fingers crossed.